It is common to say that Bitcoin is “decentralized” or doesn’t have a center. But then, where is it? Thousands of active peering nodes are spread over most countries of the world and each one carries an up-to-date full copy of the entire blockchain. Part II will discuss hashing and the essential roles it plays in the technical structure of Bitcoin, as well how the system has been designed to be self-financing right from the beginning into the indefinite future. To read Part II, click here! 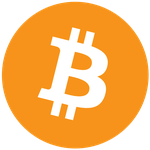 Konrad S. Graf (@KonradSGraf) writes on Bitcoin and monetary theory. This work so far is collected at konradsgraf.com/bitcoin-theory. He appeared on panel discussions on Bitcoin and economic theory and monetary history at the Bitcoin 2014 conference in Amsterdam, and in 2013, he presented on Bitcoin and social theory at the Mises Seminar Australia in Brisbane and via pre-recorded interview at the Bitcoin Singapore conference. He is currently focusing on additional research and writing in this area.